How does an autonomous body respond to fund-mismanagement to the tune of billions of dollars? Amidst record-breaking sponsorship deals and the Lodha Committee's suggestions, many cite the BCCI's independence as a fundamental problem. While the Indian cricket team has been delivering impressive performances on the field, the Board of Cricket for Control in India (BCCI) has been spiralling out of control off the field for the past 5 years. Allegations of administrative corruption, fraudulent financial dealings and spats with the International Cricket Council have severely tarnished the image of the most powerful sporting body in the country. Major drives for reform were ordered by the Lodha Committee, which was appointed by the Supreme Court of India. Still, things haven’t come very far. So what exactly has been going on with the BCCI these days? Still, things haven’t come very far. So what exactly has been going on with the BCCI these days? The BCCI was founded as a private organization in 1927, born out of the necessity to organize cricket within India and to send a national team on foreign tours. By the time the BCCI was formally registered as a society in 1928, only 6 regional/state associations were formed. India made its test debut only in 1932 against England at Lord’s. The initial team was mostly composed of princes of princely states because cricket was considered a sport for the elite. 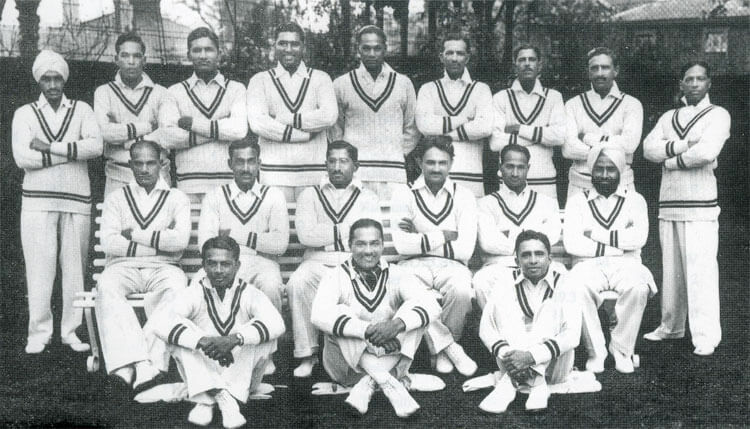 It took the Indian team nearly 20 years to win their first test when they beat the British in Chennai in 1952. Despite their underdog status, by winning the first ever World Cup in 1983, Kapil Dev’s men set the stage for cricket to be cherished by Indians at home. Subsequently, the BCCI decided to cash in on this newfound popularity and placed a bid for hosting the 1987 World Cup along with Pakistan. The tournament was a huge success and the BCCI proved its mettle by hosting a large scale event effectively. Much of the credit for the BCCI’s rise in the 1980s goes to Jagmohan Dalmiya, who served as its treasurer from 1983 onwards. He was instrumental in bringing the World Cup to the subcontinent. In 1993, he fought a legal battle against state broadcaster Doordarshan over telecasting rights for matches played in India. A long-drawn hearing ensured that the Supreme Court ruled in favour of the BCCI and gave ownership of TV rights to the BCCI as it was a private entity. Securing broadcasting rights was Dalmiya’s masterstroke. When the subcontinent hosted another World Cup in 1996, it raked in millions for the BCCI and the ICC through sponsorships and broadcasting rights. After strong recommendations by the Asian member-nations of the ICC, Dalmiya was elected as the ICC President in 1996. Until the 21st century, most international teams had only the names of their countries printed on the front of their ODI jerseys. England first struck a deal with Vodafone to be shirt sponsors towards the end of the millennium. The BCCI consequently awarded shirt sponsorships to the Sahara group in 2001. While details of the deal weren’t fully revealed, estimates say that the deal was worth over Rs 100 crore. Sahara were followed by Star India in 2013 until 2017 with a contract worth over Rs 1.92 crores per game. Chinese company Oppo broke new ground with a 5-year deal worth Rs 1,079 crores which began earlier this year. Apart from various other brands who have their logo imprinted on the national jersey, kits have been manufactured by Nike. They won a contract worth nearly Rs 200 crores between 2006 and 2010. Nike still manufactures and markets the Indian kit and pays the BCCI around Rs 60 crores every year under its current contract. Broadcasting rights, endorsements and sponsorships contribute significant amounts of revenue for the BCCI. But none of them match the inflow of money that the Indian Premier League brings in each year. Launched in 2008, the T20 league has changed the manner in which the BCCI sought to profit from the shortest format of the game. The broadcasting rights for the IPL from season 1 to season 10 (owned by Sony Entertainment Television) brought over $1.026 billion dollars to the BCCI’s coffers. While title sponsorship rights for the first 5 seasons were only worth Rs 200 crores (provided by DLF), Vivo’s sponsorship deal from 2018 to 2022 is expected to rake in over Rs 439.8 crores per year; this makes the deal more expensive than Barclays Bank’s sponsorship of the Premier League between 2013 and 2016. True, several other nations have experimented with franchise-based T20 leagues, but it is safe to assert that none of them compare to the lucrative financial benefits which the IPL offers to players, owners and the Board. An even bigger reason attributed to the enormous revenue the BCCI rakes in is its hold within the International Cricket Council. Naturally, with a population of over 1.3 billion, India is the largest market for cricket in the world. So much so, that the combined market in the other 9 Test playing nations wouldn’t even be half the viewership of India’s. Most other cricketing nations rely heavily on India to tour in their respective countries because it adds a significant amount of revenue to their budgets. The BCCI flexed its financial muscle again in 2015 when ICC’s new revenue-sharing model gave the biggest slice of the pie to the “Big Three”─ the BCCI, the England and Wales Cricket Board (ECB) and Cricket Australia (CA). The justification offered by the ICC was that these three boards generated nearly 80% of all of international cricket’s revenue. But after N Srinivasan ─ former President of the ICC and the architect of the Big Three model ─ was ousted in 2015, new president Shashank Manohar sought to broker a better deal. In April 2017, a new vote between members decided that the BCCI should get $290 million over this 8-year period. The BCCI declined to accept this new model and threatened to boycott the Champions Trophy which was held in May. While they demanded about $570 million in their proposed model, it was met with fierce resistance from the other members of the ICC. Eventually, in a meeting held in June, BCCI managed to strong-arm its way into negotiating a deal that would ensure it receives $405 million over 8 years, thereby ending further negotiations on a revenue model for now. By virtue of being the richest sporting body in the India and the richest cricket association in the world, the BCCI has been embroiled in numerous controversies of corruption within its administration. Ever since the IPL was launched in 2008, the BCCI’s financial dealings have been keenly scrutinised. Lalit Modi, the Chairman of the IPL, was sacked just 2 years into his appointment after he was accused of financial misconduct during the bidding process for 2 new franchises. Not surprisingly, the IPL was also the centre of one of the biggest spot-fixing scandals in modern cricketing history. The arrest of 3 cricketers from the Rajasthan Royals franchise during the 2013 IPL season revealed the involvement of several top brass members of the BCCI. This scandal included N.Sreenivasan, the erstwhile president of the BCCI. The Chennai Super Kings franchise, which was owned by the India Cements Group (headed by Sreenivasan) was found to have violated many terms of the IPL franchise code. Sreenivasan continued to serve as the head of the BCCI even as investigations ensued and was eventually asked to step down in 2014 by the Supreme Court. In January 2015, an attempt to reform the working of the BCCI resulted in the appointment of Justice RM Lodha by the Supreme Court. 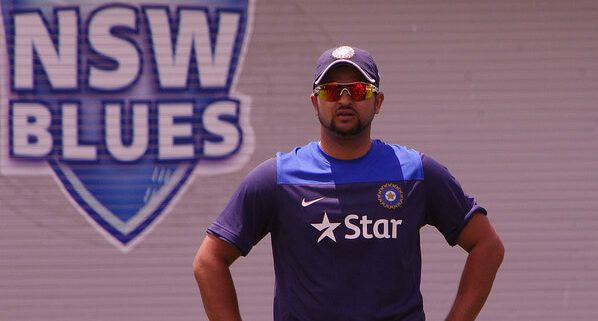 He was to head a committee which would recommend changes into the working of the BCCI. One of the major recommendations proposed by the Lodha Committee was to set a cap of 9 years for the terms of representatives of state associations and office bearers. The committee intended to ensure that office bearers above the age of 70 and government ministers would also be ineligible to hold office. The Lodha Committee recommended that each state have only one vote─ a reform that would affect states like Gujarat and Maharashtra which have multiple cricket associations within its borders. Restrictions were proposed regarding one person simultaneously holding a post within the BCCI and within a state association. However, the BCCI continued to challenge the authority of the Supreme Court by refusing to accept the stipulations set forth by the Lodha Committee. This led to the sacking of Anurag Thakur as President in January 2017 and the subsequent appointment of a panel of four administrators known as the Committee of Administrators (COA) to oversee the implementation of new reforms. One of the main reasons for the reluctance of the BCCI to accept the reforms is the continued involvement of many of BCCI’s tainted officials in its functioning. N. Sreenivasan and Niranjan Shah ─ two prominent figures from the previous BCCI regime ─ lead a faction which vehemently opposes any reform because it affects their benefits the most. While the Supreme Court has banned both of them from attending BCCI meetings, they still participate as nominees from their respective state associations. The BCCI’s disrespect for the country’s highest judicial body has been repeatedly questioned by RM Lodha and Ramachandra Guha in his resignation letter. Almost a year has passed since the Supreme Court set a 6-month deadline to accept the Lodha committee’s recommendations; still, very little has changed within the BCCI and its functioning. Although the BCCI had humble beginnings in colonial India, it has grown into a multi-million dollar entity ─ one that is able to exert a very significant amount of control over international cricket. While cricket in India was largely restricted to the rich and powerful in its early days, the BCCI has undoubtedly played a huge role in bringing cricket to every household in India. For better or for worse, the organization has found new ways to commercialize cricket by striking lucrative deals with broadcasters, kit manufacturers and other sponsors. These funds are crucial for expanding and improving the quality of cricket played within the country, especially at the grassroots level. At the same time, most of the problems associated with the BCCI exist because its loose organizational structure places control in a small group of influential individuals. While many remedies have been suggested to the BCCI, there has been negligible transformation, owing to the resistance offered by the old guard of the organization. Many have argued that the BCCI should be brought under direct control of the Indian government in order to bring ensure transparency within the cricketing fraternity. The rapid ascent of the BCCI can be strongly attributed to the lack of government interference in its operational activities. Since it is a private body which does not utilise taxpayer money for its functioning, it does not face the issue of funding that many other government-funded sporting bodies have to deal with. The Men in Blue have been on an impressive run in recent times, owing to the rise of a young and talented brigade at the expense of older players in the twilight of their careers. Perhaps the BCCI could seek inspiration by letting go of its old guard for the greater good of the ‘gentleman’s game’.